Bypass FRP/Skip FRP Lock On J7 Core Nougat V7 0 2018 Feb Patch Level. J7 Core Frp Lock Skip V7.0 Required File. 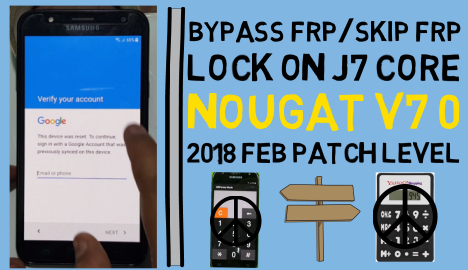 Samsung J7 Core Frp Lock Skip Method.